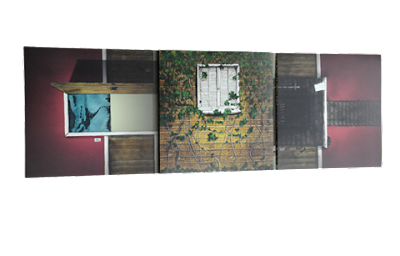 There is still some life left in the record cover. 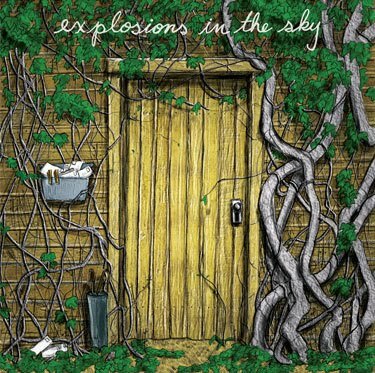 Here is the rather amazing coverart for the equally amazing and long-awaited fifth album by Texas post-rock pioneers Explosions in the Sky. 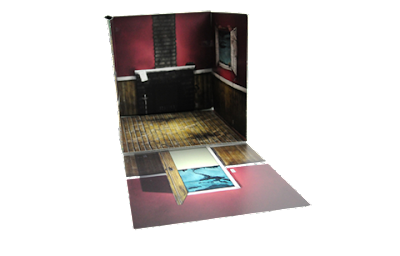 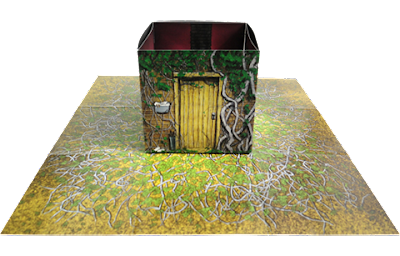 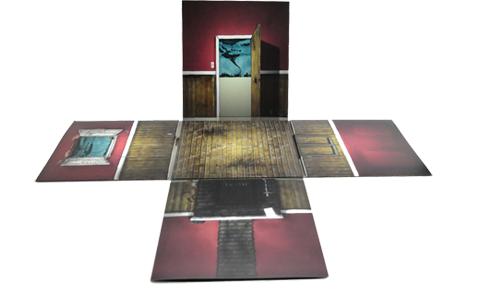 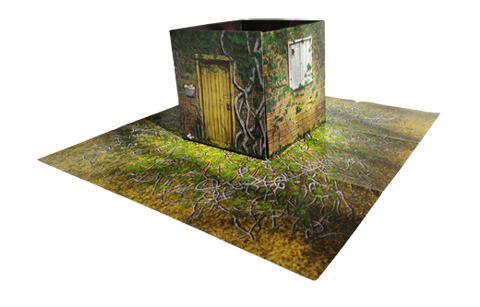 The record was released simultaneously on CD and limited edition vinyl, complete with a quadruple gatefold sleeve that constructs two different three-dimensional rooms. Also included is a huge 36" X 36" double-sided poster which provides the base surface, all put together by the band's resident artist and collaborator, Esteban Rey.